Marc Devoe, a Peabody construction worker, was on his lunch break from a project at the future Thorndike Exchange when he realized another driver that he may have cut off was following him, according to a police report. "Someone is following us," Devoe told a coworker. "I think we have a problem." Devoe was dead less than two hours later. Devoe, 34, was killed by a single gunshot wound to the chest that police say the other driver fired following a confrontation near the Gallagher Intermodal Terminal. That driver, Graciela Paulino, 20, of 1010 Gorham St., Unit 3, was ordered held without bail on Friday, arraigned on a single count of murder in Lowell District Court. 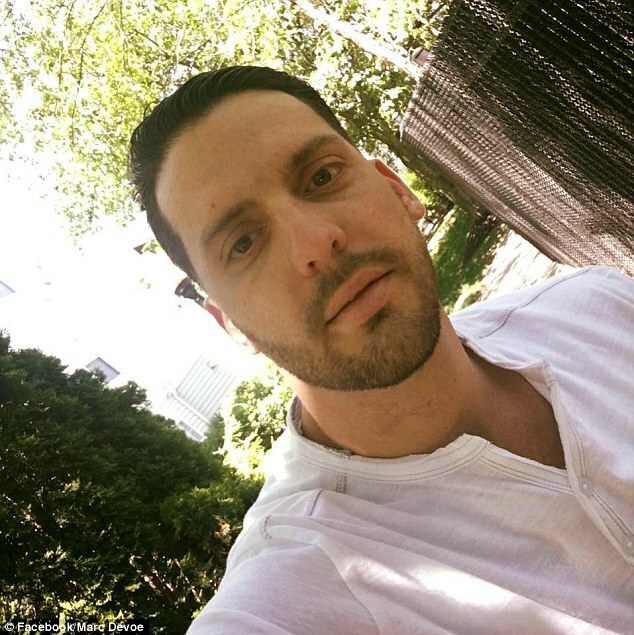 Police reports on the killing say Devoe's coworker, a 34-year-old, told Devoe to drive through the terminal's parking lot instead of returning to their work site next door with Paulino following them. Devoe stopped in the terminal's parking lot; Paulino parked next to them, according to a police report. Devoe's coworker told police Devoe and the woman later identified as Paulino "were yelling back and forth at each other" when he saw the woman reach for something in her waistband, according to a police report. The co-worker told Devoe "c'mon, forget it, it's just a girl," and both men got back into Devoe's car and drove away, according to a police report. Paulino continued to follow them down the terminal's access road, according to a police report. Devoe pulled over once again near the bridge that carries YMCA Drive over the access road, and got out of his vehicle, standing on the right side of the road. The co-worker told police "the female slowed her car down and he heard one gunshot as she drove past," a police report states. "I've been hit," a police report quotes Devoe as saying. Devoe got back into his car and attempted to pursue Paulino's vehicle. He crashed into a Jersey barrier at the access road and YMCA Drive. Two witnesses have said Devoe stepped out of his crashed car and collapsed. They said his co-worker performed CPR until first responders arrived and took over at 12:39 p.m.
Devoe was taken by ambulance to Lowell General Hospital/Main Campus, where he was pronounced dead at 1:15 p.m. The co-worker, whose identity is being withheld by The Sun, gave police a detailed description of the car and Paulino, according to a police report. Officers also saw the car Paulino was driving on surveillance video. Armed with that description, an officer soon found the car Paulino had been driving parked, empty, on Hildreth Street near Jewett Street about 2:30 p.m. It was towed. The car's owner, a 22-year-old Lowell man, told police Paulino had been driving his car because he owed her money, according to a police report. He also told police that Paulino called him Thursday about 12:40 p.m., and told him she "shot some dudes underneath a bridge" and "dropped off the gun at her man's house," according to a police report. 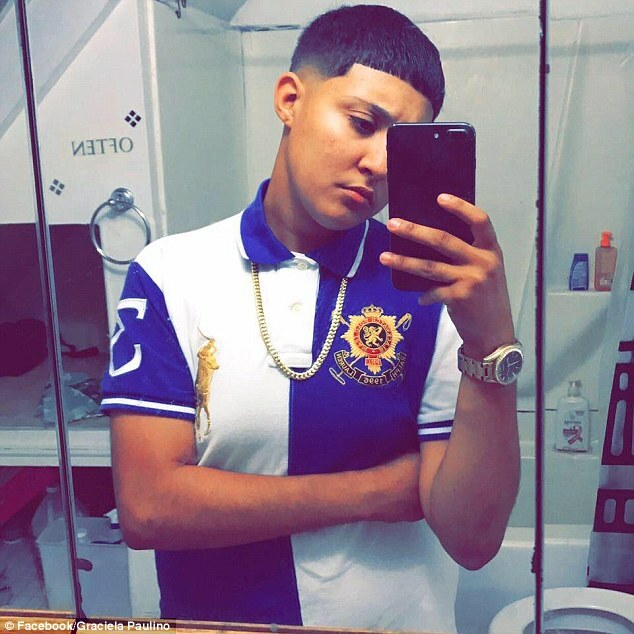 The 22-year-old told police Paulino picked him up and told her two men almost struck the car while she was driving, that there was an argument and that Paulino shot the other driver, according to a police report. That man told police he dropped Paulino off near Washington Street, according to a police report. Police found a post on Paulino's Facebook page from 2:36 p.m.
Thursday: "Tried to warn Em tried to tell Em told Em top that you my son don't make me spank you," according to a police report. Police obtained a warrant charging Paulino with murder. They found her Thursday about 11 p.m., in the second floor of the stairwell at 66 Grand St.
She was arrested without incident. "We believe, at this point, that this is a random incident as a result of a possible road-rage incident," Middlesex District Attorney Marian Ryan said at a press conference announcing Paulino's arrest. Paulino kept her face turned and mostly hidden as she appeared in the dock at Lowell District Court. Assistant District Attorney Christopher Tarrant requested that Paulino be held without bail, that bail be revoked on a previously pending case in which she was charged with assault with a dangerous weapon, possession of marijuana, resisting arrest, assault and battery and disorderly conduct. Paulino's attorney, Carolyn McGowan, did not oppose the motions. McGowan declined comment outside the courtroom. Devoe's father, Ronald Devoe, and another woman who appeared to be a family member both attended the arraignment, but declined to comment. "I have nothing to say about the case," he said. "I was told not to say anything." Ronald Devoe did speak to reporters to call on President Donald Trump to do more about the heroin epidemic and school shootings across the country. "I have a message for this country, wake up. I have a message for President Trump, wake up," Devoe said. "Let's start protecting the people of this country." Paulino is due back in Lowell District Court for a probable-cause hearing on March 14.